California Ag Today is proud to announce a partnership in support of Farmer Veteran Coalition by featuring stories about their members on a monthly basis. This is the first story in a series that will carry over into the next year. Agriculture is important in countless ways. In the broadest sense, California’s agricultural industry feeds the world and provides many jobs. But on a smaller level, farming can change one life at a time, whether it’s educating a child or giving purpose to a veteran. That’s what Randy Ryan discovered since he retired from military service with the U.S. Army’s XVIII Airborne Corps. California area about growing food,” Ryan said. 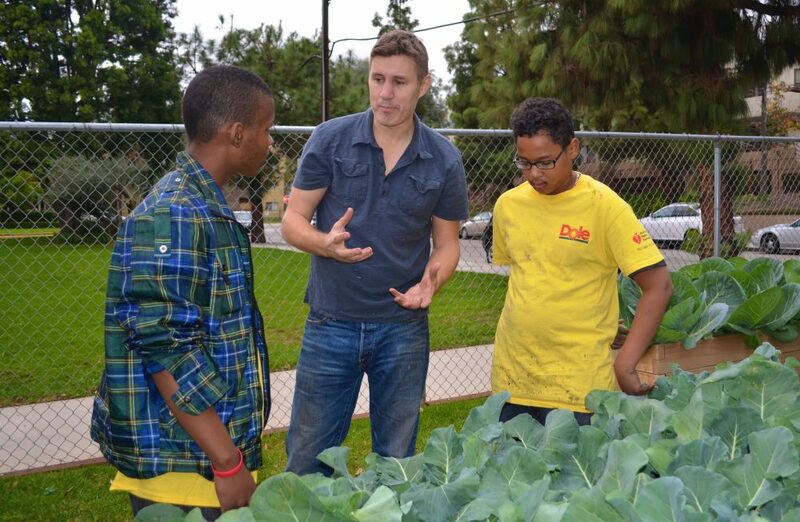 Ryan, who grew up on a farm in Tennessee, began working with Teaching Gardens, a program funded by the American Heart Association that fights childhood obesity by teaching kids how to plant seeds, nurture growing plants, harvest produce and understand the value of good eating habits. Now, Ryan has become the manager of a new California initiative with the Farmer Veteran Coalition. “We’re going to focus on the state of California and get more veterans involved” Ryan said. The Coalition aims to reach more veterans with information on how to get involved and to encourage more farmers to provide internships to veterans. Ryan recognizes it can be hard to ask a farmer to train a veteran because they do not necessarily have the time or resources. That’s why Ryan is focused on getting fellowships and grants. Already, many partners have come aboard, including Newman’s Own and the Bob Woodruff Foundation. “There are also a lot of opportunities in the industry other than starting your own farm,” Ryan pointed out. He encourages veterans to consider opportunities in farm management, vineyard management and food safety, among other jobs. “The skills from being a veteran and those from being in the food and agriculture industry—they are so similar to me,” he said. Click on the link to learn more how you can support Farmer Veteran Coalition. Six California student authors were recognized for their state-winning stories in the Imagine this… Story Writing Contest. On Wednesday, March 19, the students and their teachers were honored during a ceremony at the California State Capitol in the Governor’s Council Room. California Department of Food and Agriculture Secretary Karen Ross, along with several legislative members and staff representing various districts throughout the state, attended the ceremony to honor the students for their academic achievements. The state-winning authors received medals, e-readers, books, artwork, and resources for their teachers from California Foundation for Agriculture in the Classroom (CFAITC). Hundreds of California teachers participate in this annual contest by assigning their students the task of researching an aspect of agriculture and challenging them to incorporate these facts into their own creative story. The success of this contest is bolstered by meeting state English-language arts teaching requirements and by providing an opportunity for students to explore topics of which they previously had limited knowledge. “We are excited to recognize these students for their writing achievements and their better understanding of farming through the Imagine this… Story Writing Contest. We encourage the students to continue learning about the vital role agriculture plays in our daily lives,” said CFAITC executive director, Judy Culbertson. The contest’s purpose is to promote reading, writing, and the arts while furthering the public’s understanding of agriculture. Stories are posted online at www.LearnAboutAg.org/imaginethis. For more information, contact Stephanie Etcheverria, Program Coordinator at 800-700-AITC.